I’m not a fan of the table, but Lola insists eating at it makes us “civilized,” which apparently means “greatly inconvenienced.” I’m not sure when this contraption showed up in our dining room. In fact, I didn’t even know we had a dining room. I always called it “the useless space between the kitchen and living room where the dogs sometimes pee.” There’s a reason my wife didn’t let me pick out the names for our kids. Our transition to the dining room table was a recent one. For years, Lola and I took our meals on the couch in front of the TV, just like God intended. We tried eating without the TV only once, and it taught us the surest way to ruin a perfectly good marriage is by talking to each other. 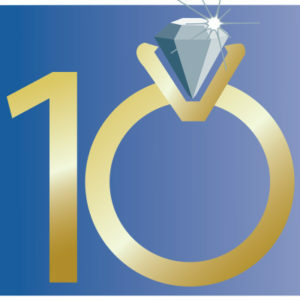 Armed with that relationship-saving knowledge, we spent the next seven years eating at the coffee table. It looks a lot like a smaller version of the one in the dining room, but Lola says it doesn’t count as a table. I have no idea why. I’m not a scientist. Abandoning that coffee non-table was the hardest thing I’ve ever had to do. It wasn’t an ordinary piece of furniture. Hidden beneath its unassuming exterior, it had a system of hinges that made the whole surface pop up to standard dining room table height. I believe this type of coffee table is officially called a “bachelor table,” although I always preferred “food elevator” or, if I raised it fast enough, “food launcher.” It’s not really dinner until I have to clean mashed potatoes off the ceiling. This coffee table is pinnacle of human achievement. Better luck next time, moon landings. 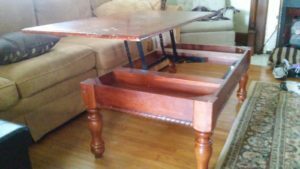 Eating at the coffee table was perfect in every way, but as with all the other good things in my life, my kids ruined it. When our first two daughters, Betsy and Mae, were old enough to eat solid food, we had them sit at a plastic picnic table in the middle of the living room. 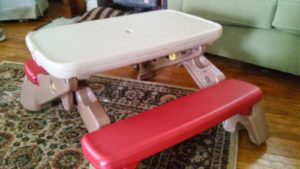 Ideally, that picnic table would have been in a different room – or possibly in a different house – but Lola insisted we stay within visual range of our children during meal times. It’s like she’s never heard of closed circuit TV. The small picnic table worked well until our third daughter, Lucy, became mobile. When she turned 10 months old, she learned to pull herself up on its plastic sides and lash out like a shark attacking a wounded seal. She didn’t earn the title “Mega Baby” by respecting the boundaries of other people’s plates. Surprisingly, a small plastic picnic table doesn’t make a great defensive position. My older two daughters reacted heroically abandoning their food and fleeing for their lives. Since I couldn’t convince them to actually defend their food – and since my wife refused to let natural selection take its course – I had to move the entire family to the dining room table. Now Lucy crawls below the table like a great white circling a sinking ship while my older daughters eat safely above. That security won’t last forever. If the baby gets a little taller, my oldest kids will have to eat in protective shark cages. The dining room table prevents two of my three kids from starving to death, but that advantage is offset by literally thousands of drawbacks. I’m only going to list one or two of them here because if I think about them too much I’ll have to go on Xanax. First of all, the seating in the living room was a comfortable couch where I could sit for hours or even days if necessary. This proved useful since there’s never really a point when I stop eating. 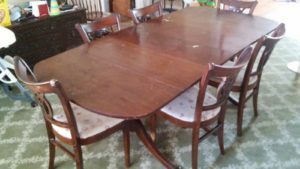 The dining room table, however, has hard wooden chairs that were designed in an era when furniture was meant as a form of corporal punishment. If I sit there for more than twenty minutes, I will blackout from pain and then starve to death. Now that I think about it, this whole dining room table situation is probably an attempt by Lola to bump me off. It would have been a lot less painful if she just hit me with her car like a normal wife. This is where happiness goes to die. The second disadvantage is even more insidious. I can’t watch my 50-inch plasma TV during meals. Instead, I watch the 50-inch DLP TV that’s in the dining room, which is almost the same as being Amish. My suggestion that we buy a nicer, newer TV wasn’t exactly greeted with enthusiasm. Lola never actually said “no,” but the look she gave me indicated the next time I fell asleep she would set me on fire. That doesn’t mean I can’t buy a better TV for the dining room. I just need to sleep with a fire extinguisher. Now we’re stuck at that dining room table until all our children graduate high school and move out. Given that Lola is perpetually pregnant, that date should arrive approximately never. When I agreed to start a family, I didn’t realize I’d have to spend the rest of my life eating with them at a fancy table. It’s like we live in Downton Abbey. The only difference is that instead of a nine course meal, we have Pizza Rolls on paper plates.